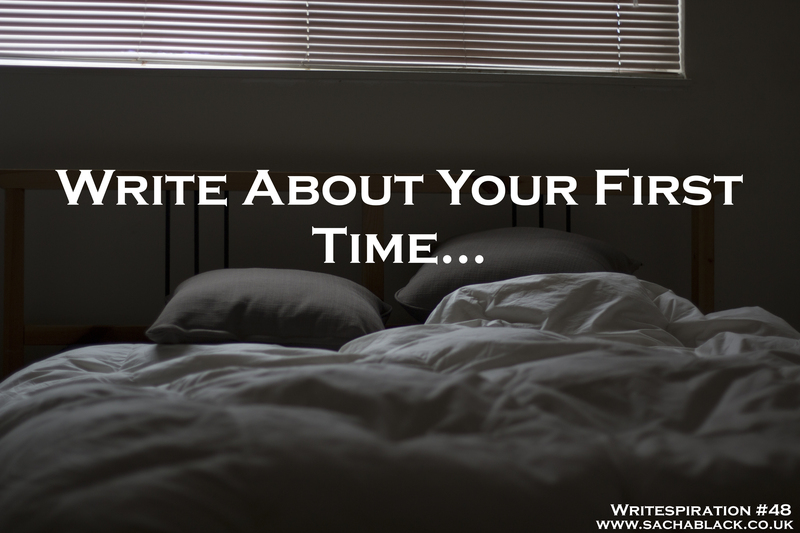 Writespiration #48 Write About Your First Time! I took a sip from the dark glass in front of me. The liquid was ice cold and the numbness sank straight to my stomach. Could I do this? What if I refused? “We’re waiting rose,” his voice rumbled through the muggy air, and his steely glare was as hard as the gun’s barrel glinting at me. I gnawed at the inside of my lip. The numbness in my stomach furling into knots. I’d never even touched a gun, let alone fired it. What if I injured the deer instead of killing her. Would she suffer? Would she feel it? “ROSE!” he snapped. I flinched, as his hands rested at his waistline. I glanced at his belt buckle, his fingers flexing over the leather band. I shuddered, it was me or the deer. I picked up the gun. It was lighter than I’d expected, its cool metal easing into my hand like I’d done it a thousand times before. I nodded, fingers quickly finding the right catches. Why did this feel normal to me? It should have been alien, wrong even. But it wasn’t. My hands knew the gun like an old friend. Maybe dad was right. Maybe I was destined to be a hunter. Now to last weeks writespiration, where we all got a bit hot and steamy… I mean sweaty! Sue Vincent got all reminiscent with a rather smelly travel experience. Geoff confessed a bit too much? Hugh… well I think Hugh did get a bit hot and steamy! I will never forget that first time. The surge of emotion, somewhere between a frisson of fear and a growing excitement… the smell of leather… the rising thrill as my touch called up such a powerful response. Since that day, I have been addicted to that sensation. I was a bit of a late starter; something had always made me hold back. Fear, perhaps… losing control…being at the mercy of something powerful? I don’t know. I had come close to giving in once before… but it wasn’t right. I knew that… then things got scary. Dangerous, even. It had been years before I got over that. And then, someone came into my life and everything changed. There was a need… my own feelings took second place, my fears were dismissed, banished by the force of his belief in me and his gentle persuasion that I should simply give myself to the moment. I wasn’t expecting that. I don’t know what I was expecting, but it wasn’t that. Good job. AMAZING. I wasn’t sure what this was going to be… part of me thought a motorbike! lol! Thanks Norah. Have to say this is an excellent set of firsts I had no idea what this would produce! Pahahahahajah you rotter! I thought you were about to write something saucy then I was all like ???? Hahahahaha this made my day! Sacha, The first time stories are fantastic. Last week’s sweat? Who could have guessed so many stories could come out of that one word! Hehe I know right! Such talented writers ?